Just six months after the third-generation iPad debuted, Apple has launched a new fourth-generation model with a faster A6X processor, FaceTime HD camera and Lightning connection port. The price of the new model is the same at Wi-Fi-only with 16 gigabytes of storage for $499, while a cellular-capable model is $629. The latest iPad also has expanded LTE support for more carriers around the world. 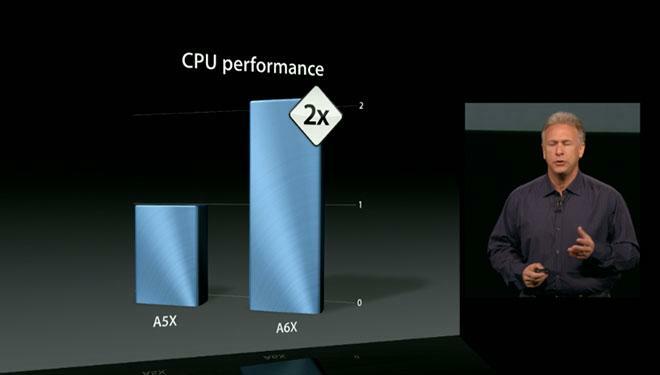 And Wi-Fi is up to twice as fast as the third-generation model, Apple marketing chief Phil Schiller said. "We're not taking our foot off the gas," Apple Chief Executive Tim Cook said. 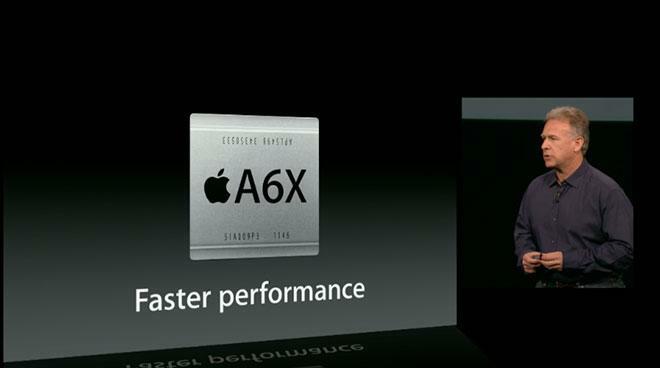 The fourth-generation iPad features the same 9.7-inch Retina display as its predecessor, powered by a new Apple-designed A6X chip that the company said delivers up to twice the CPU performance and up to twice the graphics performance of the A5X chip. 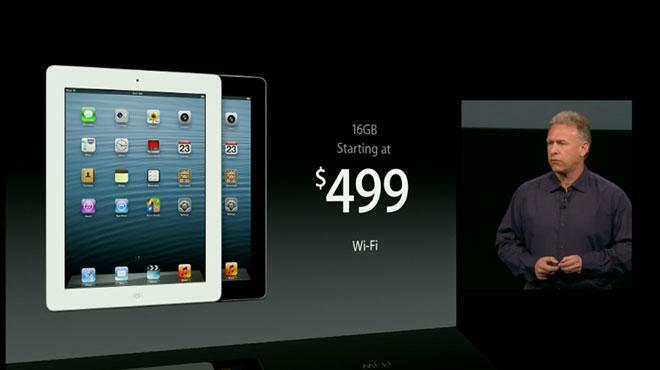 It still features 10 hours of battery life in the same design as the third-generation iPad. The new iPad also supports Apple's new Lightning connector, the replacement for the company's legacy 30-pin dock connector that was found in previous-generation iPad models. Lightning connector accessories are available to support cameras, SD cards and VGA or HDMI digital video. Because it sports the same design, existing iPad Smart Covers and the iPad Smart Case are compatible with the fourth-generation iPad. The fourth generation iPad with Wi-Fi models available on Friday, Nov. 2, in black or white for a suggested retail price of $499 (US) for the 16GB model, $599 (US) for the 32GB model and $699 (US) for the 64GB model. Fourth generation iPad with Wi-Fi + Cellular for AT&T, Sprint and Verizon will be offered for a suggested retail price of $629 (US) for the 16GB model, $729 (US) for the 32GB model and $829 (US) for the 64GB model. Preorders begin this Friday, Oct. 26. The fourth generation iPad will be sold through the Apple Online Store (www.apple.com), Apples retail stores, and select Apple Authorized Resellers in the US, Australia, Austria, Belgium, Bulgaria, Canada, Czech Republic, Denmark, Finland, France, Germany, Hong Kong, Hungary, Iceland, Ireland, Italy, Japan, Korea, Liechtenstein, Luxembourg, Netherlands, New Zealand, Norway, Poland, Portugal, Puerto Rico, Romania, Slovakia, Slovenia, Singapore, Spain, Sweden, Switzerland and the UK.